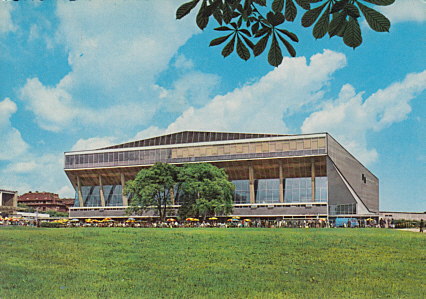 Multi-purpose events and sports venue complex. 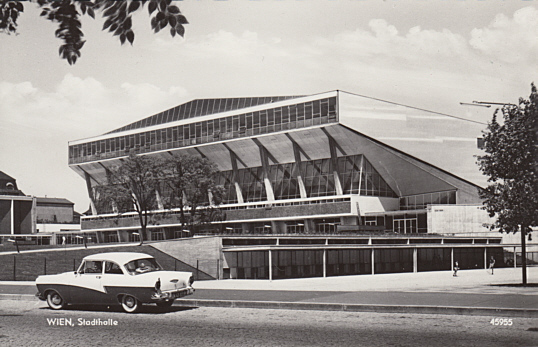 Original four halls A, B, C, D built 1953-1958 by Roland Rainer. 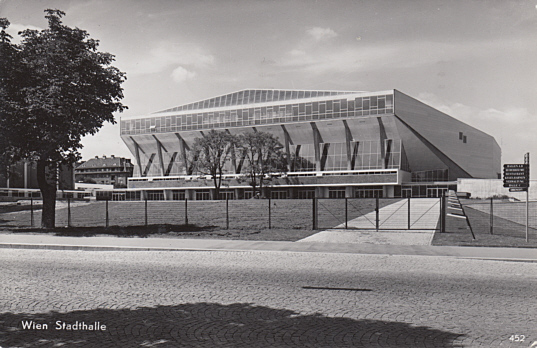 1994 addition of Halle E, 2006 addition of Halle F. Largest hall: Halle D (capacity: 16.000 persons). 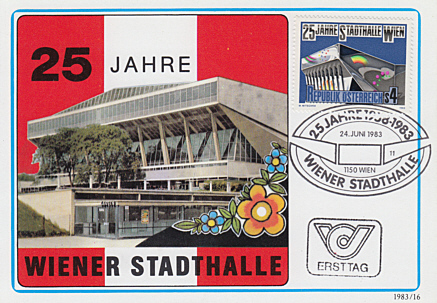 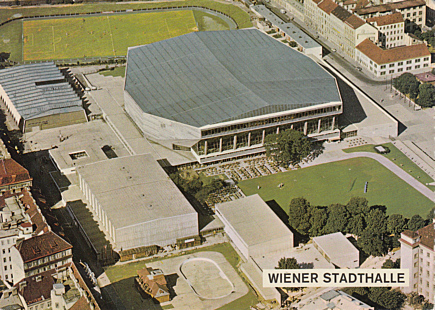 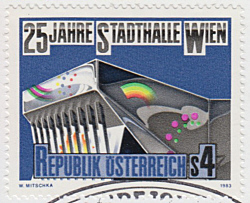 Reverse Text: "Wiener Stadthalle, Austria"
Front Text: "25 Jahre Wiener Stadthalle"